Fitness, Skills & Comfort are what it takes to roll with Hard Maple Travel; learn more about what it takes. 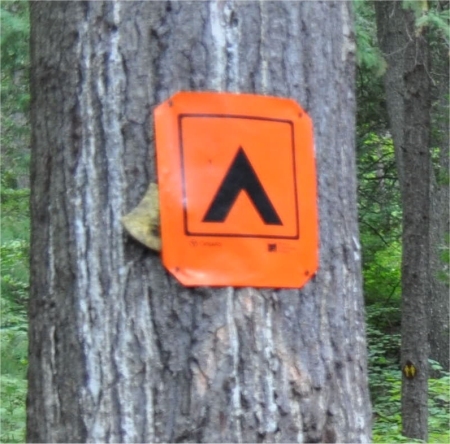 There are three things we look at to determine your suitability for a Hard Maple trip. We want you to be "a good fit". The three aspects are fitness, skills, and your comfort zone. Each trip is rated from 1 to 7 in these three categories and if you don't think you have the proper levels for the trip, we suggest you investigate an alternative excursion. 1 You never exercise. You don't like to feel sweaty or "out of breath". 2 You exercise less than 1 hour per week, although you do walk the dog for 30 minutes most days. 3 You get vigorous exercise for 1-2 hours per week. This might be some combination of biking, swimming, running, tennis, hockey, soccer, gym etc. 4 You exercise almost every day (3 to 4 hours per week) and have good endurance. You can bike for 2 to 3 hours at a time on flat terrain. You can carry a backpack weighing 12 kg (27 lbs) for one kilometer. 5 You are able to ride for 4 to 5 hours at a time with some hills. You can get up and do it again the next day. You consider yourself strong and healthy. You can carry a backpack weighing 18 kg (40 lbs) for two kilometers. 6 You have experience riding 5 to 6 hours per day on any terrain. You can carry 23 kg (51 lbs) in mountainous terrain. 7 You are fitter than almost anyone you know at your age. 2 Rookie - You rode when you were younger and you hope that "it's like riding a bike!" 3 Beginner - You are confident on tarmac and you are ready to tackle gravel roads. You are eager to learn new skills. 4 Competent - You can easily handle gravel roads or trails and can ride single track if there are not too many roots and rocks. You understand your gears and how to anticipate upcoming terrain. You can change a tire. 5 Proficient - You can handle most single track but sometimes have to dismount to get over obstacles. You have good balance at slow speeds. Given the right tools, you can adjust brakes, replace spokes, and true a wheel. 6 Expert - You have excellent skills and confidence. You can ride all but the most technical single track and you rarely have to get off your bike to walk over obstacles. 7 Master - You live to mountain bike, riding as often as possible, summer and winter. You probably compete on advanced technical terrain. 1 Novice - You have never been in a canoe. You can't swim. 2 Rookie - You are comfortable in and on the water, in other watercraft such as rowboats, sailboats, or surfboards. You can swim 20 metres. 3 Beginner - You have been in a canoe, at least once. You have good balance, reasonable flexability and a strong desire to learn. You have a strong upper body. You can swim 30 metres with ease. 4 Competent - You know the "bow" stroke and how to "draw". You know the "J" stroke and have good control over direction when in the stern. You can portage with a partner. 5 Proficient - You have excellent canoe skills, including white water. You know how to get back in a canoe in deep water and how to perform a canoe-over-canoe rescue. 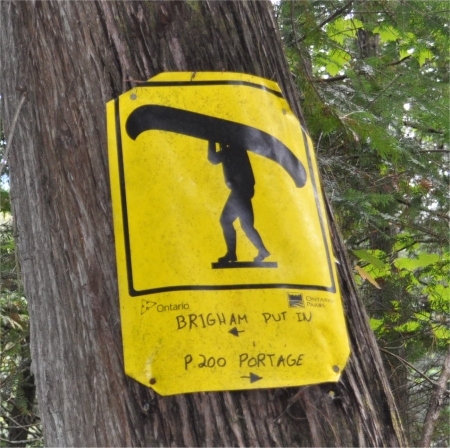 You can portage solo. 6 Expert - You are confident with all aspects of canoeing and you are a strong swimmer. 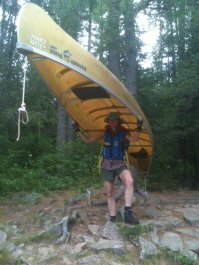 7 Master - You have worked as a paddling instructor including white water canoe, kayak, and rafting. 1 You live in luxury and never leave your comfort zone. 2 You never camp, except in a Recreational Vehicle (RV). You have never slept on the ground. You cannot tolerate bugs of any kind. 3 You believe that all new experiences must be thoroughly planned and controlled. Spontaneity is outside your comfort zone. 4 You can tolerate some annoyances but you are uncomfortable with compromise. You don't like to let your own comfort suffer for the sake of the group. 5 Small physical irritations or discomfort don't bother you. Given the appropriate clothing, you are happy in any weather. You consider yourself flexible, spontaneous and "low maintenance". 6 You live for adventure, ouside your comfort zone. Often your adventures involve an element of fear, danger or extreme discomfort. 7 You have demonstrated your survival skills and toleration for discomfort in a variety of climates, terrains, and situatons.